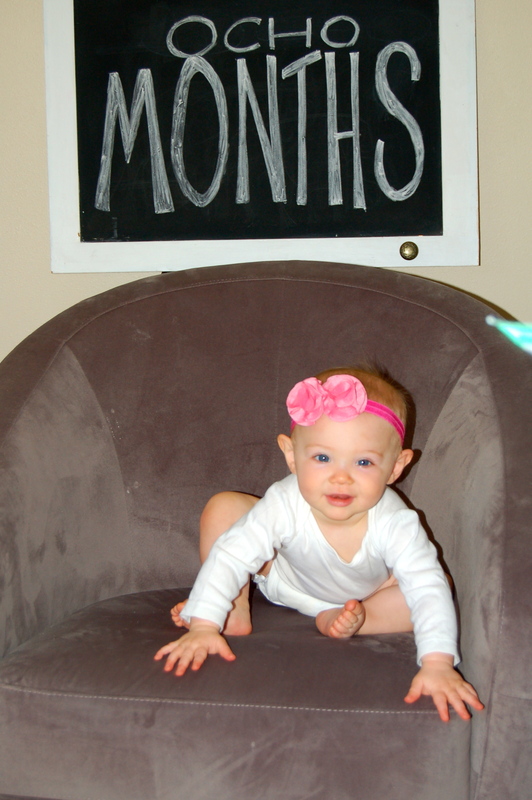 One more month until the doctor says she should be sleeping through the night! I don’t think I can wait that long though so I’ve sought the council of a sleep doula who is putting together a program for us. It seems the problem is the association with feeding and sleeping so we’ll change our bedtime routine stat. As far as development, Piper is humming right along. We’re pretty sure she says “hi” and “mama” now, based on the context of the words. She’s also standing on her own and she’s taken one step after standing a few times. She’s such a funny character – when she wants something she grunts really loudly. She’s started drinking some water and if we give her some and she wants more – grunnnnttt. If we give her food and she wants more – grunnnnttt. The other night we had some amazing salmon, so I rubbed some between my fingers to break it apart and she was devouring it! We did the same with egg yolk and she really digs it. She’s super sleepy in the below photo, but sometimes they can’t be perfect, eh?